Hello Everyone! Well its been a while since we've had a new post so here goes. I stumbled across this little gem on Ebay (link). 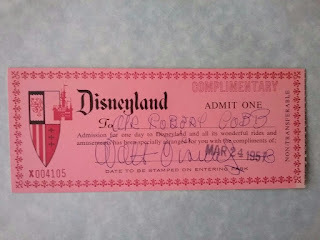 Dated March 24, 1957, this complementary pass to Disneyland is reportedly signed by Walt Disney himself. These early passes are not totally uncommon as they were available for purchase during the off seasons, here's a nice set from 1962 (link). The complementary ones are less common, one signed by Walt would be ultra-mega rare. The eBay auction has a "Buy it Now" price for (are you sitting down?) $10,000!!!! According to the seller "dated two years after the park opened in 1955...stamped .March 24, 1957 .....pass is made out to Robert Cobb....owner (now deceased) of the once very famous Brown Derby restaurant in Hollywood and creator of the world famous Cobb Salad. The name of Robert Cobb on the pass is entirely handwritten by Walt Disney and signed as well." 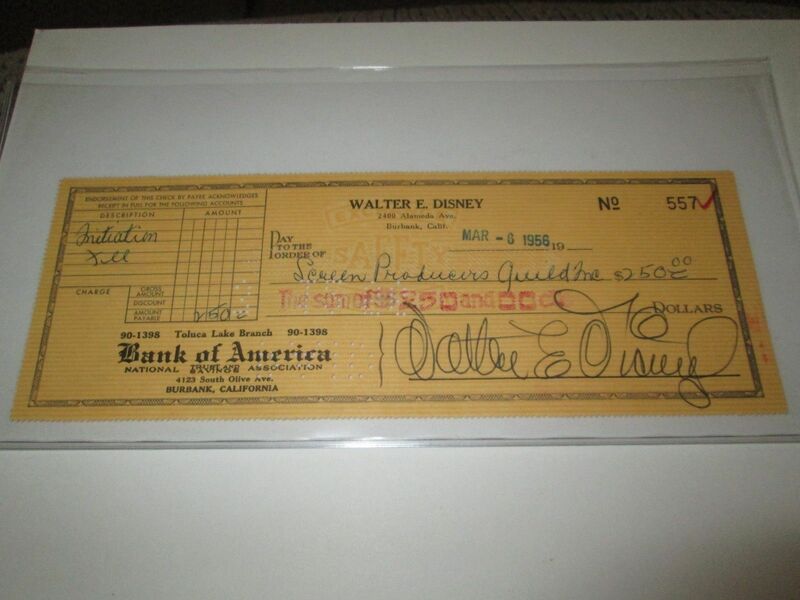 I'm no handwriting expert but this does look like other "real" signatures of Walt from the 1950's. What do you think?